Dr Foot Bespoke Custom Orthotics are a perfect match to your feet, providing a personalised interface between you and your shoes. This gives you the ultimate in support and balance. Bespoke Custom Orthotics are carved in our lab from your foot impressions. So they match your feet perfectly for custom support. All are available in full-length or 3/4-length. The shell will last a lifetime however the top cover may need to be changed every 1-2 years due to wear and tear. 1. See information below to determine which type(s) of orthotics are most suitable for you. 3. After placing your order, complete the Dr Foot Information form thoroughly and accurately as possible. 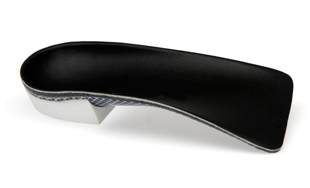 This will help us fabricate your orthotic to best suit your specific needs. 5. For the best possible fit, we also recommend that you send us a pair of removable insoles that came with your shoes (if possible). 6. Mail your Foot Impression Kit back to us using the pre-paid shipping label. 7. 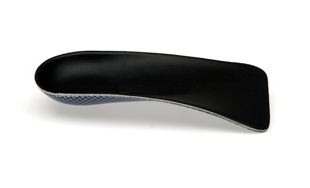 We may contact you if we need additional information to customize your orthotics. 8. You will receive your custom-made orthotics within 4 weeks of the date we receive your foot impression. 9. 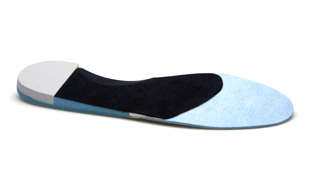 Enjoy the comfort and relief from your new Bespoke Dr Foot Custom Orthotics! 10. Recommend Dr Foot Custom Orthotics to your friends, family, teammates, and co-workers! 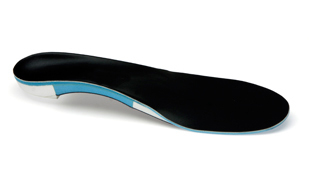 We have 3 different types of bespoke custom orthotics. Light and ultra slim the Lyte Fit offers unrivalled control levels, whilst enabling friendly shoe fit. All Lyte Fit shells come as standard with a lifetime guarantee. 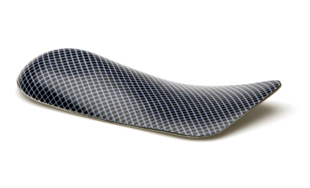 Ultra slim, light and controlling the Stylethotic offers a new gold standard in dress orthoses. Intrinsic posting enables the device to comfortably fit into all low bulk shoes. Super light Sprinter incorporates an innovative 'runners wedge' which controls pronatory movements synonymous with a running gait, whilst improving propulsion through the forefoot. 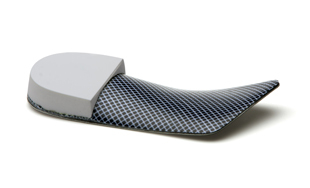 This orthotic is suitable for all sports which involve rapid acceleration such as running, tennis, basketball, football and rugby. *Controls subtalar and mid-tarsal joint compensations. *Please allow 4 working weeks to receive orthotics after you post the foam cast back to our offices. View FAQ's regarding Dr Foot Bespoke Custom Orthotics.